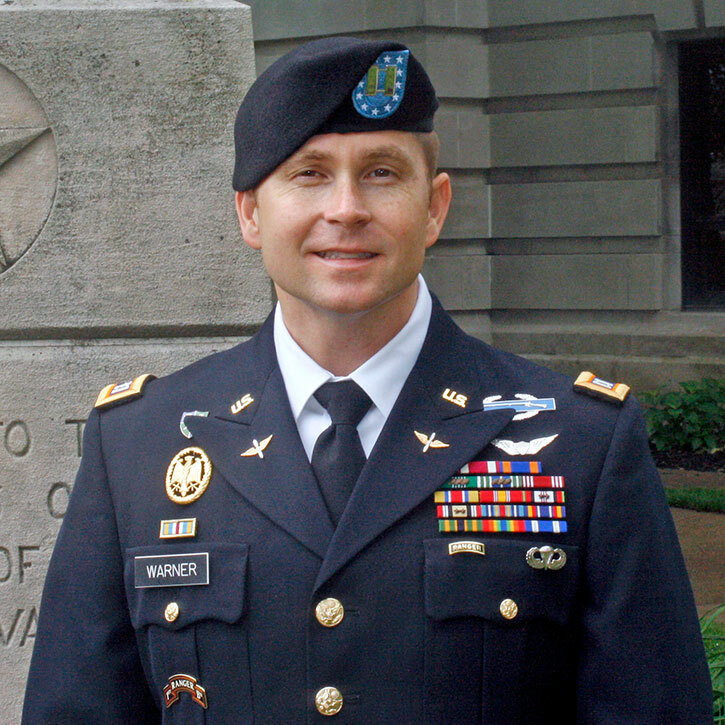 There were several things that drew Captain Will Warner to IUPUI’s ROTC program. The camaraderie. The training. And the cadre members. After graduation, Warner was commissioned into the Aviation branch. He says he was “fortunate enough” to fly the OH-58D Kiowa Warrior and be a member of the Air Cavalry. In 2016, Warner applied to the Army’s Voluntary Transfer Incentive Program (VTIP) and was accepted into Functional Area 34 (Strategic Intelligence). Warner is grateful for the knowledge he gained through the ROTC program, especially when he was deployed, completing two tours in Afghanistan. The officer has served as a Platoon Leader and a Troop Commander during both of his deployments. Warner is without a doubt a born leader.